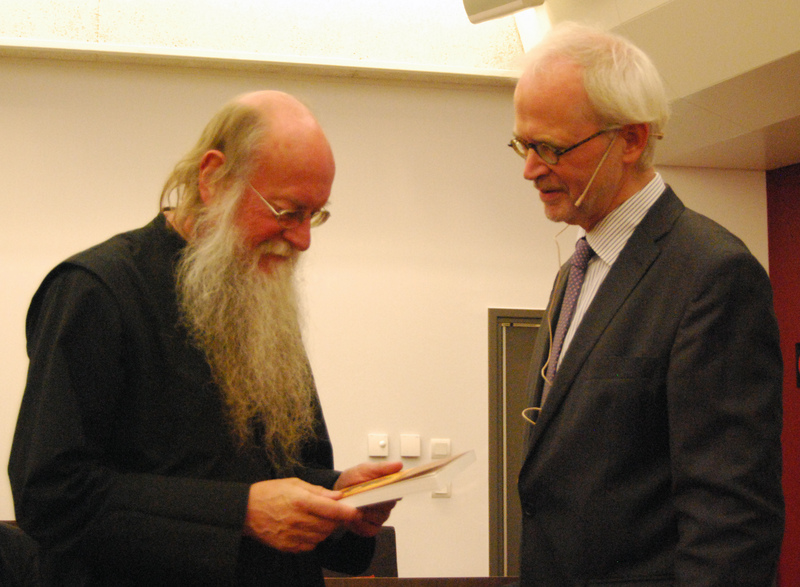 On 21 June, the presentation of the book Introducing Eastern Orthodox Theology by Revd. Prof. Andrew Louth was the occasion for a small colloquium. At the colloquium we took up themes explored by 20th century thinkers of the Russian emigration, who tried to bring their patristic past into dialogue with contemporary Western ideas. One of the themes of the Orthodox diaspora is the ‘realm’ between the Creator and the created world. Who or what negotiates the abyss? You can see the photos of the event on our Facebook page or you can watch videos of it on our VU channel.